That’s a difficult question to answer, but we polled a number of veteran attendees and real estate stars to ask their opinion. 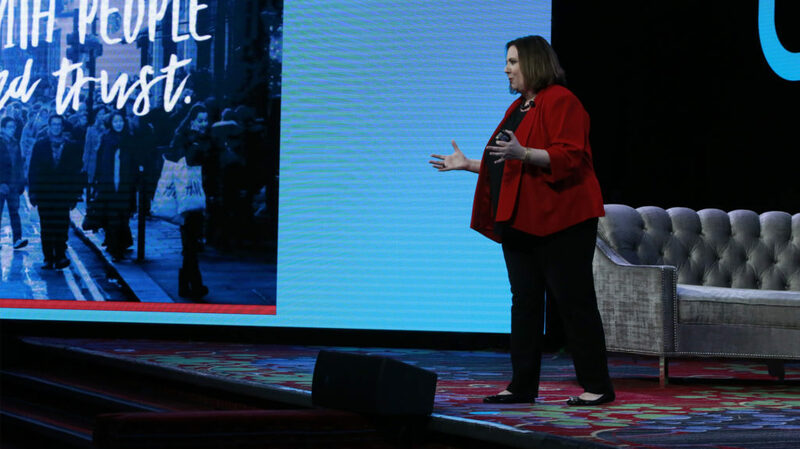 Here’s what they think you need to catch at this year’s Inman Connect New York, taking place January 29 through February 1 at the Marriott Marquis Times Square. Seattle Divas: “The Opening Session is a must. It sets the tone for the week and gives you insights from outside of our industry. Our entire business has been based on tools that retailers, non-profits and other industries use before your average agent adopts them. The best place to get that inspiration in our industry is the opening session of Connect. The opening session of 2016 featured Seth Godin. Seth illuminated that traditional marketing is the one-size-fits-TV approach, but the truth of the matter is that all of us need to be as niche as possible in our approach to finding our version of Diva Dwellers. It was brilliant. It cemented a practice that we had, but didn’t have the words to articulate to others. Niche marketing is and will continue to be our mainstay. Jay Thompson: “Honestly? Hugs from my friends. But that’s not very helpful. The morning main sessions are almost always great, and if something isn’t really your thing, the talks are short and the agenda moves fast. Danielle Garofolo: “There are so many great speakers, but for me it’s always been bumping into people in the lobby and catching up. There’s always someone from my network who I can introduce to another friend. Katie Lance: “I would not miss the opportunities to network after hours. Whether you are an early riser or a night owl, the early morning or late evening conversations in the hallways are some of the best and can impact your business in so many ways. Bret Calltharp: “You never know what Brad Inman will say on stage. Ha! The true magic, however, is the people attending. Melanie Piche: “Whether too many consecutive late nights or early flights are to blame, the last day at Connect is usually the least attended … but the Friday morning sessions are always among my favorites. Lindsay Listanksi: “The single biggest thing not to miss is meeting people you don’t know! It is easy to sit with your colleagues and go out to lunch with friends, but you are missing half the value of the event if you are staying within your own sphere. Bill Risser: “At every Connect I’ve attended, there has always been the main stage speaker (or two) that grabs my attention with a biography or a description of the talk. 1) Morning coffee in the lobby overlooking Times Square and chatting with people. 2) Cocktail hour. The energy level is a 10. 3) New Kids on the Block. Hearing these startups give their pitch is always a highlight. 4) Turn a meeting into a “walk and talk” out in Times Square. Jacy Reidmann: “It was at Inman Connect that I was able to announce one of my proudest accomplishments to date — becoming one of The Geeky Girls! It’s a blog full of articles, videos and reviews of real estate and social media topics run by Laurie Weston Davis, CEO/owner of Better Homes and Gardens Lifestyle Property Partners and director of social media at Revaluate, and includes the brilliant writing of Tiffany Kjellander, the CEO/owner of Better Homes and Gardens Real Estate PorchLight Properties. These are lifetime connections that not only helped grow my business and aid in my own professional growth, but also became friends who support each other through triumphs and hard times. Karen Bigos: “This is tough, but the keynote speaker is usually a home run that leaves a lasting impression. For me it’s all about the people and hearing about their latest gadget, app or service that is making a difference for them. I think I learn more outside of the sessions when I connect with people in small groups. Dig deeper into What not to miss at Inman Connect New York and discover the opportunities in a changing market at Inman Connect New York, January 29 – February 1. Jumpstart 2019 with tactical takeaways, unlimited networking and thought-provoking speakers. Learn more.